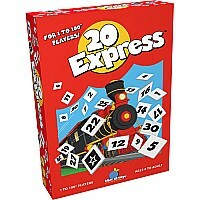 Hop aboard this addictive numbers game! 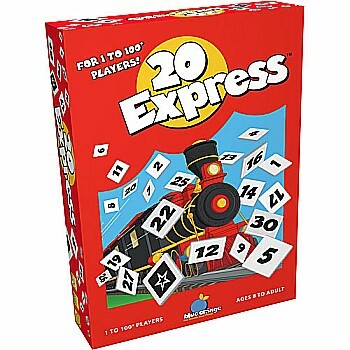 Each player has a game sheet with one long train of 20 cars. The goal is to make chains of ascending numbers, left to right. Inside the draw bag are 40 tiles with the numbers 1 through 30, including some doubles. With every draw, players need to assign the number to a car on their sheet. The longer the chain, the more points you'll score. Sure, you need luck but clever planning will pay off. And what's more, an unlimited number of players can join the edge of your seat fun!